Radio-frequency identification (RFID) tags, which employ electromagnetic fields, have a history stretching back to World War II. Passive tags contain electronically stored information and communicate using energy collected from the interrogating radio waves transmitted by the RFID reader. In contrast to the ubiquitous barcode – which must be within the reader’s line of sight – RFIDs can be embedded in the object being tracked. Although there are well-founded concerns regarding privacy, the Food and Drug Administration in the USA has approved the use of implanted RFID tags in humans. 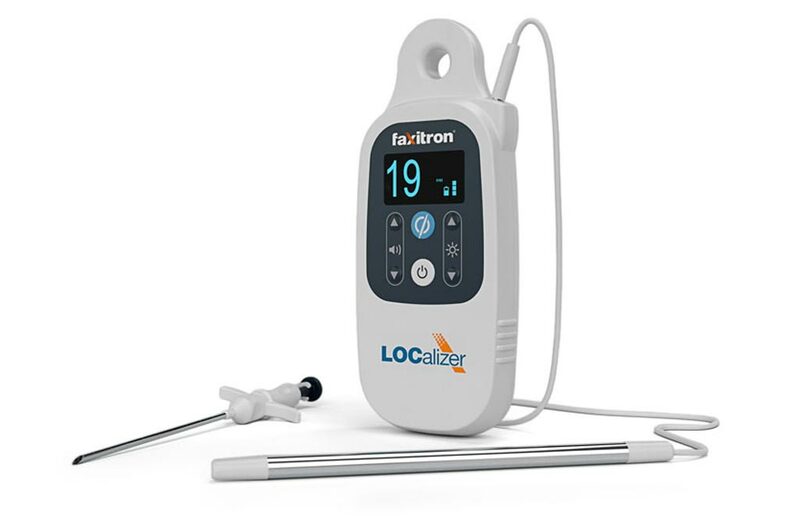 Faxitron, a company that specializes in point-of-care specimen radiography, has just announced the LOCalizer for identifying breast lesions. With the success of breast screening programmes, lesions are now typically smaller, less defined and harder to locate. In fact, 50% of all breast tumours cannot be palpated at diagnosis, and this complicates the job of the surgeon who cannot rely on touch alone to locate the lesion. 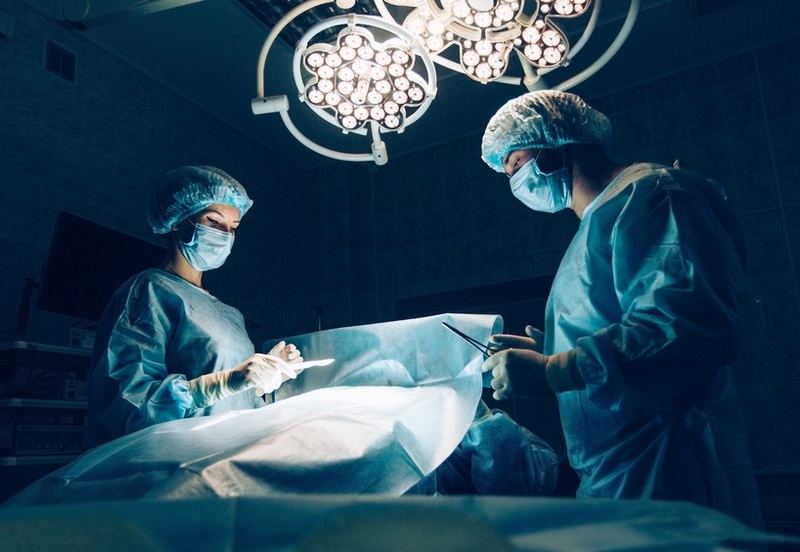 For many years surgeons have used wires with barbed ends to guide the surgical removal of the lesion but there are well-documented problems with this approach. Radio-active seeds have also been used but here too there are complications and challenges. Faxitron’s breast lesion localization system consists of: miniature RFID tags that can be implanted in the lesion up to 30 days prior to surgery; an applicator for implanting the tags; a sterile probe; and a handheld reader (seen at left). Since the tags are clearly visible with X-rays, ultrasound and magnetic resonance imaging, they can be accurately placed within the lesion by the radiologist using the applicator. Once the tags have been implanted, the probe may be applied directly on the skin to determine the location and distance to the lesion, thereby enhancing surgical planning. Nice variant of radio active seed localisation, default in the Netherlands since many years. Well done Major, very, very interesting as usual. Those barbed wires sounded a bit like fishing! The next job will be to locate the cancer cells as they appear? PS I had to check up on ‘ubiquitous’ as an uncommon everyday word and in doing so did ‘palpate’ as well and ye olde pocket Oxford gave me palpitations and sweaty palms.